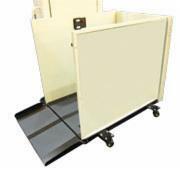 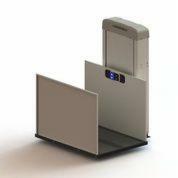 Vertical Platform Lifts-Wheelchair Lifts-Vertical Lifts from the largest online Distributor. 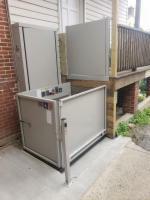 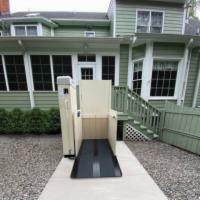 Whether you're a homeowner seeking a permanent mobility solution for a loved one who uses a wheelchair or mobility scooter, or a business owner who wants to facilitate accessibility for disabled customers, a vertical platform lift is a cost-effective and easily installed option. 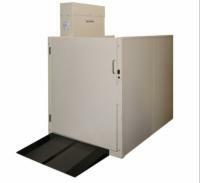 If a ramp access solution won't do for your needs due to space constraints or right-of-way setbacks, consider a vertical platform lift. 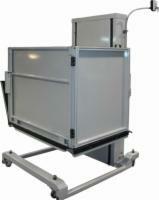 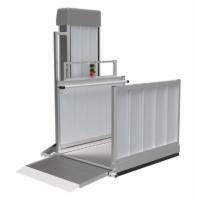 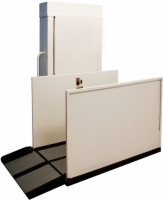 Call us today at 1 (800) 791-6899 and get started on planning your platform lift installation! 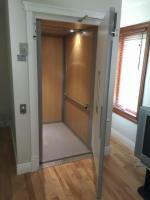 Maximum Lift Height Upgrade: 130"
Maximum Lift Height Upgrade: 77"
Maximum Lift Height Upgrade: 171"
Maximum Lift Height Upgrade: 52"
Maximum Lift Height Upgrade: 64"
Maximum Lift Height Upgrade: 375"
Drive System: Belt driven ball screw/90 VDC 1/3 hp motor with brake.